Recently, you have started working out, but the problem is you do not have much space at your home to bring bodybuilding equipment. 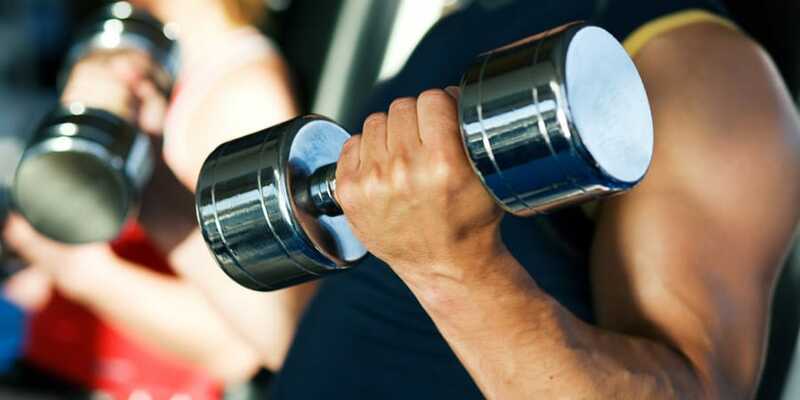 This is the right time to opt for a set of dumbbells, consider purchasing adjustable dumbbells. These dumbbells will allow you to perform total body workout using various sets of dumbbells. Let us understand how a set of adjustable dumbbells can help you. Your fitness trainer will help in your weight-training program by using leaning cycles. The first thing is that it will save your money. You do not have to purchase various sets of dumbbells to perform your workout routine. Only a single set of dumbbells is sufficient provided your dumbbells are adjustable. Start with low weights and as your body grows, add plates. This set of dumbbells will also take the minimum possible space in your apartment. There are different types of dumbbells available in the market, which have a dial system. These are expensive dumbbells in comparison with solid dumbbell sets. You have to turn the dials to adjust for more resistance. They have slider mechanism to decrease or increase the weights. If you use solid dumbbell, then you will quickly outgrow the weights. The solid set of dumbbells will be of no use. On the contrary, when you have adjustable dumbbells, you cannot outgrow them because there is an option of adding weights when you need it. As you will progress, you will need more weights and can adjust the resistance according to the growing power. This is the reason why adjustable dumbbells are always preferred and they have advantage over solid dumbbells. It will save your money, space and workout area. You will have more space to perform the exercise. If you cannot buy costly dumbbell set, then you can opt for regular iron plates, which are a lot cheaper. There are various exercises, which you can do with free weights. These exercises will enhance your muscles. Here are a couple of basic exercises, which you can perform. This is a common and basic exercise to increase the core strength. You are supposed to include it in your daily routine. In order to perform this exercise, you have to stand up and hold dumbbells in your hand or on your shoulder then raise the dumbbells above your head. You have to do at least 12 repetitions of every exercise. In this kind of exercise, you can use chair for supporting your back. Raise the dumbbell above your hand, block your elbows and lower the dumbbells. Hold the dumbbells in your hands facing each other. Lift one dumbbell at a time to the side and lift it until it becomes parallel to the ground, then lower this dumbbell and repeat it with the other. You need to gather relevant information about using leaning cycles. Lie down on a bench and hold both the dumbbells in your hands facing each other. Raise both the dumbbells and lower it down. Make sure to breathe slowly when you are lifting the weights. This is a wonderful exercise to enhance your strength. There are a couple of other exercises, which you can perform with a set of dumbbells like squats, upright rowing, dead lift and good morning. You can also perform exercises for smaller muscle groups.